Pet Stores in DC near 5333 Conn. Ave.
Pet care is a main concern for many of us. Our fluffy friends deserve the best when it comes to food choices, supplies, treats, accessories, and other goodies. Depending on your needs, you can choose from a ton of great pet stores in DC. That’s one of the perks of living in DC—there are so many options! Check out our favorite pet stores in DC, all of them easily accessible from 5333 Connecticut Avenue. Wylie Wagg is a family-owned pet care establishment, and it’s top of the line in terms of quality, service, and pet-friendliness! They cater to dogs, cats, small pets, birds, and much more. With their frequent adoption, rescue, and seminar events, Wylie Wagg is truly a “pawsitive” fixture in the DC animal and pet community. Healthy eating isn’t just for humans! PetMAC is your stop for all natural food selections for pets. DC is known for being a healthy town, and PetMAC is no exception. They have a great selection of healthy and even organic food for your pets, as well as high quality treats. Their staff is super friendly and can provide advice to answer all your questions and inquiries. A charming and cute aspect of PetMAC are the resident cats, which you can adopt if you feel so inclined (PetMAC is actually an adoption center too!). It’s located just .7 miles away from 5333 Connecticut Ave., so be sure to stop by! Happy Paws offers various dog-related services, including boarding, sitting, and grooming. They also have a small shopping area where you can pick up charming items like leashes and toys that you probably wouldn’t be able to find in a larger pet store chain. They also have staff that is very knowledgeable about pooches of all kinds. Happy Paws is completely cage-free! If you’re looking for a larger store with many options and a large staff as well, you might want to check out Petco in Woodley Park. They have a wide variety of toys, leashes, dry and canned foods, and other items for your pet. Petco is a sure-fire way to get what you need, as they’ll always have a wide selection of pet basics in stock. The awesome part about Woodley Park’s Petco? It’s literally right outside of the Cleveland Park Metro station, so you can grab some items if you happen to be in the area at that particular stop. Great choice for grooming and training services. Pet Perks at 5333 Connecticut Ave. Besides pet stores and shops, choosing the right place to live can often affect your pet’s happiness. 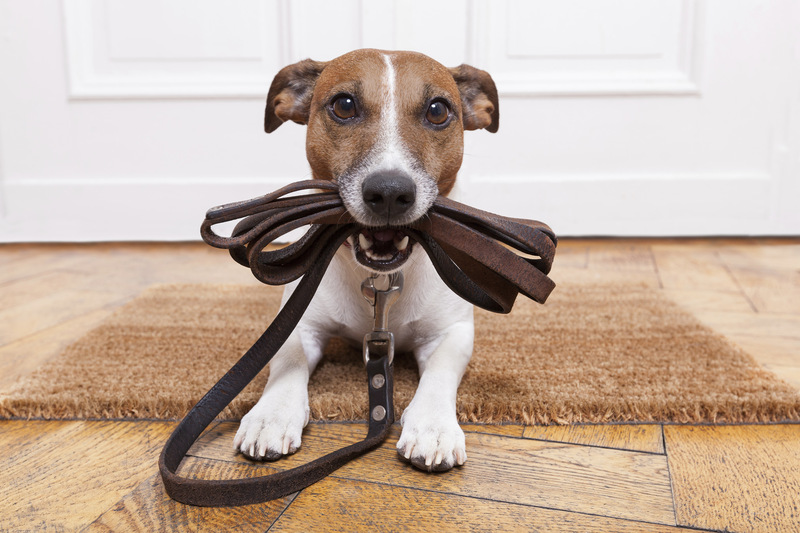 At 5333 Connecticut Ave., we provide premium amenities for your pet, such as a rooftop dog-walking area where your doggie can exercise safely. We can also coordinate pet services and other similar services while you’re away. Are you interested in luxury living in the heart of DC, conveniently near some of the city’s best establishments? Contact us today at 5333 Ave. for more information, or schedule a tour now!